THE BIG PICTURE How fair are CQC ratings? Inside CQC Debbie Ivanova, Deputy Chief Inspector of Adult Social Care, explores latest guidance around supporting people’s sexuality. Business Clinic Our panel looks at a new model of homecare, which brings together aspects of homecare and residential care. Rising Stars 2018 Oluwakemi Yusuf is Registered Home Manager at Ipstones Avenue. Celebrating excellence The Royal Alfred Seafarers Society won both the Leadership Award and the Beyond Governance Award at the Markel 3rd Sector Care Awards. Event Preview A preview of the new CMM Insight Leeds Care Conference. Straight Talk Michael Voges shares his opinion that the sector must look at small system change while we await wide-scale transformation. A reflection on the last ten years The start of 2019 saw a flurry of announcements from women who would be leaving their posts. They go into detail about the last ten years of adult social care, and what needs to change. Painting the picture: how fair is the CQC quality rating system? Mike Short from CSI Market Intelligence highlights the areas where CQC quality ratings vary and the impact they are having on businesses. Making it Real: a system for change Caroline Speirs, Head of Think Local Act Personal discusses the Making it Real framework and sets out what organisations need to do to ensure they’re delivering person-centred care. Are you getting the benefit of the CMM website? Sign up today to start getting more from CMM. It’s FREE for care providers. 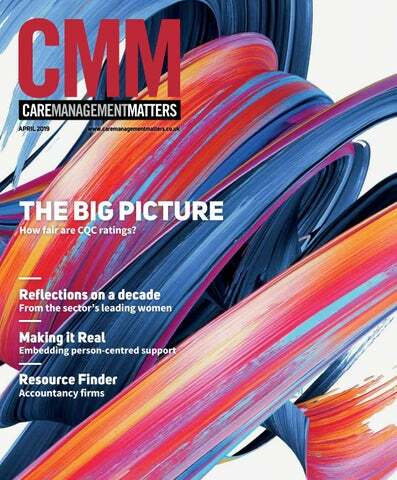 the feature on page 28 to see what you think of Caremark’s new model of homecare and whether you agree with our panel’s analysis. QUALITY CARE We’ve also seen a report this month from Independent Age on the quality of care homes and Mike Short has used his market intelligence to look at the impact of ratings, variations across the country and more in his article on page 24.
the release of CQC’s new guidance on sexuality and relationships in care settings. This is a welcomed document and Debbie Ivanova looks at this topic in detail in her Inside CQC column on page 7. DON’T MISS OUT Lastly, we are looking forward to meeting colleagues in Leeds for our inaugural CMM Insight Leeds Care Conference on 20th June. Read our preview on page 48 to see what you can expect from the day and book tickets on the CMM website, where providers can sign up for free to access discounts to events and view the CMM archives. Transforming your care delivery KareInn helps providers transform their service; making operations run more smoothly and improving resident health & wellbeing. Our mobile tools and real-time insights help reduce preventable risks, resolve escalated issues and coordinate better care operations. As change management experts, we ensure fast adoption without sacrificing operational performance. Debbie Ivanova, Deputy Chief Inspector of Adult Social Care at the Care Quality Commission (CQC) explores the regulator’s latest guidance around supporting people’s sexuality in care services. a role in sharing information that supports providers and staff to do this well. Related to this guidance, we have been carrying out work to better understand how safety incidents of a sexual nature occur within adult social care settings. This has involved analysing notifications data submitted to CQC by providers and engagement with people who use services, providers, registered managers and frontline care workers to understand the issues. Over the next month, we will be co-producing recommendations on how we can improve sexual safety – keep an eye on our monthly newsletters for information on how to get involved. When we publish the report of this work in the summer, we won’t only be talking about what we’ve found and our recommendations. We will be sharing case study examples of some of the great work happening within services to protect people from sexual harm whilst still promoting people’s rights. We hope that this, along with the guidance, will offer providers clarity and direction around this sensitive and complex area. failing schools have included a comprehensive improvement plan, such as management changes, arranging for expert help from other schools and regular reinspections. These tactics are not consistently employed across the care home sector, but could be used to help tackle poor quality of care homes. Independent Age is also calling for urgent action to end the poor and inadequate quality of care and for Government to finalise a sustainable long-term funding settlement for social care now. •	Eligibility should be based on need and must be widened to make sure that those with unmet or under-met need have access to appropriate care and support. •	Any new settlement should provide secure, long-term funding at a level to enable the social care system to operate effectively and deliver the outcomes that people want and need. •	Significant additional funds must come with a willingness to reform and improve the ways in which care is delivered. Social care and the NHS are working together to transform and integrate local care services, but they can only go so far when services are being placed under so much strain. More information is available on the NHS Confederation website. from the UK at a drinks reception hosted by Person Centred Software and the National Care Forum. Jonathan Papworth, Chief Executive of Person Centred Software, led the international exchange of best practice and sharing ideas and innovations. The guests welcomed Chelsea Pensioners Dewi and John, who provided an insight into life at the Royal Hospital Chelsea and shared life stories of serving in Her Majesties Forces. •	Providers of care services do not need to stockpile products. However, where your organisation relies on receiving products directly from the EU on a short lead time basis (i.e. 24 to 48 hours), you may need to plan for longer lead times of around three days as part of business continuity plans. •	Assess your ability to receive stock deliveries outside your current normal goods receipting hours. •	Refer to business continuity plan guidance issued in the 21 December 2018 letters. •	Work at local level with the relevant Director of Adult Social Services.’ Further information on planning for a no-deal Brexit is available on the Department of Health and Social Care’s website. relationships with families. •	Maintain open communication with families and review how you work with them. •	Actively encourage people who need care and support to maintain family relationships and/or social contacts and networks. It also explores the values, skills and knowledge that staff in adult social care need so that employers can ensure their staff are equipped to work well with families. Skills for Care is now consulting on the framework, asking for the views of managers, staff, people using services and their families. The consultation runs until Monday 1st April 2019 and is available on the Skills for Care website. U-Night Group said, 'This is a longawaited document that will give providers clarity and direction in relation to a sensitive and complex area of need. 'It affirms the link between supporting opportunities for sexual expression and personal wellbeing, within a framework of care services' regulatory responsibilities. 'Our organisations were pleased to be consulted in the development phase of the guidance, including gaining the perspective of members with a learning disability.' An easy read summary of the guidance is also available. For more details, see Debbie Ivanova’s column on page 7. Partners in care Every Miele machine stands for quality, reliability and high performance, but itâ&#x20AC;&#x2122;s our Approved Partner network that continues that excellence through to our customers. Our official partners throughout the UK install and maintain every Miele to the very highest standards, ensuring minimal downtime and trouble-free ownership. To find your nearest Official Miele Partner, visit our website or give us a call. known as a living will). The most common step taken among those that had made plans for end of life was writing a will (93%), outlining what should happen to their property, possessions and money after they die. Six in ten had organised a Power of Attorney, and 58% had discussed their end of life care preferences with family or friends. The research also uncovered a lack of awareness of how hospices can help with end of life care. people to do their research and ensure they are planning for end of life care, to avoid loved ones having to make stressful and uninformed decisions in moments of crisis, and to ensure their wishes for their end of life care are known and respected. Which? Later Life Care has two free and independent advice guides on end of life care options and planning ahead for end of life care, to help guide people through the process. service to improve and they were happy with the outcome. The Declare Your Care campaign is encouraging people to share their experiences of care with CQC to support its work to improve standards of care. The majority of people who did raise a concern or complaint were motivated by a desire to make sure that care improved for others. This included wanting to improve the care they, or a loved one, had received (61%) and improve care for everyone using the service (55%) with a smaller number also hoping for an apology or explanation (26%). The main reasons given for raising, or wanting to raise, a concern were delays to a service or appointment, lack of information and poor patient care. Additionally, over a fifth indicated that they have raised or wanted to raise concerns about the lack of communication between health and care services. Midlands elderly care homes: Bearwood Nursing Home in Smethwick, Bartholamew Lodge Nursing Home in Wednesbury, Richmond Court Nursing Home and Caldene Rest Home both in West Bromwich. This acquisition forms part of RDCP Care’s continued growth strategy to expand their ownership of care and nursing homes. welcoming new residents to our community.’ One- and two-bedroom apartments are available, alongside a range of facilities. These include a 24-hour on-site care and support team and optional services such as a dining package, room service and full cleaning and personal laundry. There’s also an in-house hairdressing salon and pamper room, and all day refreshments. personal health budget by 2024. As well as extending the legal right to wheelchair users and people eligible for free posthospital aftercare under the Mental Health Act, the NHS will also work to expand access for more people with ongoing mental health needs, veterans, people with autism, those with learning disabilities and people receiving adult social care support. The move is part of the NHS Long Term Plan’s aim to expand personalised care which will be rolled out to 2.5 million people by 2024 via measures including personal health budgets and social prescribing. signpost individuals and carers to appropriate support. •	Government's investment in dementia research has risen hugely, at over £82.5m last year. A review of progress on the Challenge also identified opportunities for where further progress could be made. These include: •	Improving participation in dementia research to generate breakthroughs. Less than 4% of people diagnosed in England are currently involved in studies. The aim is to have 25% of people with a diagnosis signed up to Join Dementia Research. •	Improving public awareness of the risk factors around dementia, such as heavy drinking, diabetes or high blood pressure. Recent Alzheimer’s Research UK found that only 1% of the public were able to name the seven known risks for dementia. •	Enhancing our understanding of early onset dementia, including prevalence, diagnostic rate and whether GPs need additional training to improve care for younger people with dementia. IN FOCUS Hft annual Sector Pulse Check WHAT’S THE STORY? Hft’s annual Sector Pulse Check has revealed that financial pressures could start to directly impact the vulnerable adults who rely on social care. The report shows that the number of providers handing back contracts has more than doubled in the past 12 months. This is the second Hft annual Sector Pulse Check report, carried out by independent economics and business consultancy Cebr, and is the first of its kind to focus primarily on learning disability providers. Based on survey analysis from social care providers, it provides an annual snapshot of the financial health of the social care sector over the past year and an idea of how providers suspect the next twelve months will progress. cost of agency workers as one of their main cost pressures has increased from 13% to 63%. This comes second only to rising wage bills. The report also highlighted that: •	More than three-quarters (78%) of providers have increased their focus on recruitment over the past year, with twothirds (67%) of these running a dedicated campaign to help reduce staff vacancies. •	Only 4% of providers have completed their preparations for Brexit, while a further 28% have either not yet started or were less prepared than last year. •	There is a lack of confidence that Government will resolve the sleep-ins crisis, with the majority of the sector (72%) stating they did not believe that this year would see a decisive end to the issue. WHAT DOES THE SECTOR SAY? improve how people with a learning disability and people with autism, of all ages, are supported. The proposals would see people with autism and those with a learning disability involved in the training, to help challenge attitudes and unconscious bias. Government is exploring routes to make the training a legal requirement, and expect that it would become part of health and care workers’ education and training, either before qualification, or in the role if already qualified. cases, patients may struggle to understand information given to them on admission because they are most ill at this point. •	The greatest concern is about the quality and safety of mental health wards; in particular acute wards for adults of working age. financial pressure (37% of councils). Services for vulnerable people are going to be facing cuts, according to the State of Local Government Finance Survey, with councils planning to reduce activity in adult social care (29%), children’s care services (24%), special education and disability support (16%), homelessness support (11%) and funding for local Citizens Advice services (18%). (around 113,000 people), making it a bigger employer than the NHS. But this area of work is growing. The WeCare campaign uses real care workers and focuses on the challenges they face as well as what makes their work rewarding and worthwhile. More information about the recruitment campaign for care workers in Wales is available on the WeCare website. DC Care has announced the sale of Clitheroe Care Home Limited, located in Clitheroe, Lancashire. The home is registered for 28 people who need care and support, and is a former private residence, with a purpose-built extension. Alison Willoughby, Regional Director, appraised the business and managed the sale alongside Sales Negotiator, Lisa Rushworth. CoolCare4 knows how to help you run it well. CoolCare4 is an innovative management tool that helps care home operators maximise revenue, manage costs and reduce time wastage. NHS Digital has published its latest annual report on components of the staff of social services departments in England. Personal Social Services: Staff of Social Services Departments, England 2018 includes information on the people employed by local authority adult social services as at September 2018. It covers the 112,200 workers employed by local authorities in adult social care services in 2017, accounting for approximately 6.8% of the total adult social care workforce in England. The report is compiled from data collected by the National Minimum Data Set for Social Care (NMDS-SC), which is managed by Skills for Care on behalf of the Department of Health and Social Care. Government is setting out new plans to provide better mental health support for NHS staff. The new support will be based on recommendations by Health Education England (HEE) and could include: •	Post-incident support for NHS frontline staff, such as peer group support or a more formal psychological assessment. •	A dedicated mental health support service giving confidential advice and support 24 hours a day. •	Fast-tracked mental health referrals for NHS employees if requested as a priority from either a GP or an occupational health clinician. •	Improved rest spaces for oncall staff and trainees during and after their shifts, providing security, shower facilities and refreshments. •	An ‘NHS workforce wellbeing guardian’ in every NHS organisation, responsible for championing mental health and wellbeing support for staff. Information in the report includes: •	The number of local authority adult social care jobs by job role and employer type. •	Starters, leavers and vacancy rates. •	The proportion of jobs with zero hours contracts, by job role group. •	The average number of hours per week which are worked by adult social care staff within local authorities. •	Individual worker characteristics such as gender, age, ethnicity, pay and qualifications. •	Average number of sick days taken by adult social care staff in local authorities. You can read the full report on the NHS Digital website. Carer Passports initiative recognised Carer Passports, a UK initiative championed by Carers UK that recognises the role of unpaid carers in the UK health system, has been selected as a global innovative practice by the International Alliance of Carer Organizations (IACO) and global group, Embracing Carers. A 2017 Embracing Carers global carer survey revealed that a quarter (24%) of unpaid carers feel their role as a carer is not recognised within the healthcare system – despite the critical role they play in maintaining their loved one’s health. Carer Passports are used to help hospitals identify unpaid carers and gather important insight that informs patient care. They bring better co-ordination, understanding and communication between hospital staff and carers and have shown to improve care and health outcomes for patients. Carer Passports also help carers to feel more valued and become more confident about what they can expect from hospital staff. The scheme provides carers access to support such as free hospital parking, discounts in the hospital canteen or information and resources, depending on what benefits the hospital is able to offer. Carers UK has championed the use of Carer Passports in hospitals and was funded by the Department of Health and Social Care to develop a suite of resources to help hospitals develop and implement Carer Passport schemes, such as template application forms and publicity posters. Carer Passports are the second practice featured as part of a global Innovative Carer Practices series to spread and scale new ways to support carers around the world. HEE made the recommendations in its report on the mental health and wellbeing of NHS staff and learners, commissioned by the Department of Health and Social Care last year. The recommendations to improve mental health support for NHS staff will be considered as part of the ‘workforce implementation plan’, which will be led by NHS Improvement Chair, Dido Harding and Leeds Teaching Hospitals Trust Chief Executive, Julian Hartley. HEE spoke to staff whose wellbeing had been affected by their experiences in the NHS workplace, as well family members who had lost relatives through suicide. They also visited organisations that are already demonstrating good practice in supporting staff mental and physical wellbeing to understand how these initiatives could be rolled out across the NHS. The measures should help NHS organisations make positive progress on sickness absence rates, staff performance and retention. investing in the continuing professional development (CPD) of new managers, existing managers, deputies and aspiring managers. The Fund will continue to support the learning and development of frontline workers with enhanced funding available to learners completing an apprenticeship standard. Large national organisations can apply for a grant to support the CPD of their workforce. They must have more than 1,000 careproviding employees and provide adult social care services in two or more Skills for Care defined areas. The deadline for applications is 1.00pm on Friday 5th April 2019. For more information, visit the Skills for Care website. £1.23 estimated return for every £1 invested in a values based approach to recruitment. that staff recruited for values perform better than those using traditional methods. We’ve got practical tools, resources and checklists to support you to recruit the right people. The start of 2019 saw a flurry of announcements that some of the women who have been leading the sector through the last decade would be leaving their posts. As they embarked on their next challenges, we spoke to them about the last ten years of adult social care, how it has evolved and what they think has to change in the future. WE MUST RECOGNISE THE SKILL OF THE WORKFORCE In the just shy of nine years that I have been Chief Executive Officer at Skills for Care, the most significant change has been how adult social care has gained political traction. Featured in the main news items on TV, radio and print and regularly discussed in both houses of our Parliament, this is a welcome transition from the days when social care held little political or public interest. Equally important is the broad acceptance that the full involvement (often termed coproduction) of people who access care and support in developing policy, shaping services, and every aspect of social care, is the only way to achieve what people want. Itâ&#x20AC;&#x2122;s not perfect and there is still work to do, but there has been a definite change in the way we organise, talk and do which is hugely welcome. Despite all of this, social care is still a sector that has neither sufficient recognition nor funding. The profile of the sector and the 1.47 million people who work in it is still too low, too negative and not reflective of the reality. I have said many times that it is a source of national shame that social care is talked of as a largely minimum wage sector and that it is infuriating when people conflate low pay with low skill. Social care workers are highly and widely skilled people providing support that enables our fellow citizens to transform their lives. They should be appropriately recognised and rewarded. The key to getting it right is recognising that person-centred has to be both the way we design and provide care and support and the way we recruit, develop, retain and reward the workforce. Two sides of the same coin. It is about acknowledging that high-quality, relationshipbased care and support is a human right, one that many of us will be glad is there at some point in our lives. QCIS is the UKâ&#x20AC;&#x2122;s largest independent care broker with over 25 yearsâ&#x20AC;&#x2122; experience of providing a total business solution for the care sector. Painting the picture HOW FAIR IS THE CQC QUALITY RATING SYSTEM? Quality ratings – they’re a huge part of running a care business and every provider is aiming for the coveted Outstanding. But are they fair? How do they differ from region to region and between sectors? What are your chances of achieving a Good rating? Mike Short from Care Sector Innovations uses his insight to share a picture of the trends. was in May 2015, just a few months after the introduction of the Mum Test, when I analysed a snapshot of early ratings published on the CQC website. My headline was Why is a Care Home in West Sussex Ten Times More Likely to be Classified Inadequate than a Care Home in the West Midlands? Okay, maybe I did have an axe to grind, because the ‘victim’ was West Sussex, my home county. The analysis established that only 2.5% of all care homes in the West Midlands were rated Inadequate, compared to 17.5% in the South East. West Sussex had an even greater proportion than its mother region, with 25% given the Inadequate rating, ten times that of the West Midlands. Over time, regional variances have reduced, probably due to the increased volume of ratings. Care standards will vary between providers for numerous reasons, but my concern is that the different subjectivities of local teams of inspectors, along with other issues, affects the comparison of care quality on an even field. PAINTING THE PICTURE: HOW FAIR IS THE CQC QUALITY RATING SYSTEM? scrutiny, while the mighty NHS is relatively untouched by CQC? If you look at the results of the inspections that have been undertaken at NHS hospitals, it is worrying that the percentage of ratings given is not higher. The percentages of services rated Good or Outstanding are as follows: •	Care homes: 78.4%. •	GPs: 95%. •	Homecare: 87%. •	NHS acute hospitals: 44.6%. On the basis that so few NHS acute hospitals have had an inspection report published, only one in six of all NHS acute hospitals have proved they are compliant, so why have the rest not been inspected? THE MUM TEST RATINGS MIX As all providers know, the five KLOEs are Safe, Effective, Caring, Responsive and Well-Led, and each are given an Outstanding, Good, Requires Improvement or Inadequate rating. The KLOEs are then aggregated to come up with the Overall rating. If the same rating is given for each KLOE, then the Overall rating will match these. But what if there is a mix across the ratings given for individual KLOEs? Amongst many other permutations, these are a few of the more pertinent examples I came across when analysing the latest list of CQC care home ratings: Homes rated Requires Improvement: Home A: Four Requires Improvement and one Inadequate. Home B: Three Good and two Requires Improvement. Homes rated Inadequate: Home C: Three Good and two Inadequate. Homes rated Outstanding: Home D: Three Good and two Outstanding. Home A, which did not achieve a single compliant rating across any of the KLOEs, is given a Requires Improvement rating. Home C who is compliant with three Goods but has two Inadequacies is relegated to Inadequate. Is that fair? One predominantly compliant home rated worse than one without any compliance? And what does Home B think? They achieved three Goods against Home A’s zero, and no Inadequacies, and yet they share the same Requires Improvement rating. Out of all the five KLOEs, safety will be top of the CQC Inspector’s list. If a home is not Safe, this in itself is an inadequacy. However, looking at a group of Home A examples, in 50% of cases Safe was the one KLOE that was judged to be Inadequate. There are some peculiarities at the top end of the ratings as well. As we can see above, Home B is rated Requires Improvement. Now consider Home D which, like Home B achieved three Good ratings, but instead of two Requires Improvements, gained two Outstanding, and was awarded an Outstanding rating. It’s almost as if all the hard work Home B has put into achieving three Goods is totally ignored. And of all the care homes currently rated Outstanding, only 4% gained the top rating across all five KLOEs, whilst 58% only achieved two. 5% in Q3 and 11% in Q4 – over 100 times more Inadequate ratings than in Q1. In 2018, the proportion of Inadequate ratings each quarter dropped slightly to 9% of homes rated in Q1, 8.4% for those rated in Q2, 7% in Q3 and 6.8% in Q4, but this is still much higher than early 2017. We have to ask, has care quality reduced a such a rate, or has CQC moved the goalposts? DO RATINGS IMPACT CLOSURES? In 2018, we lost 300 care homes through closure, and with them nearly 10,000 beds. This led to thousands of vulnerable older people being displaced and losing the familiarity and continuity of their home and the people who cared for them. 150 care homes were opened during the same period, continuing the pattern of one opening for every two closures that we’ve seen over the last few years. Supply continues to fall away whilst demand for beds continues to rise. There are many reasons for care home closures. Too much supply against local demand, low local authority contributions to care and a low percentage of selffunders, unsuitable and ageing properties, challenges in recruiting and retaining staff, or even the owners just throwing in the towel due to being totally unimpressed with their local authority and the Government’s lethargy towards the sector. Nationally, there’s a fairly even split amongst ratings levels for those homes which have closed. Of all the care homes that closed in 2018, 34% had an Inadequate rating at the time of closure, 29% Requires Improvement and 36% Good. On a regional basis, however, there were massive variances in the care ratings of the homes that closed. In the North West, 51% of homes that closed had an Inadequate rating, compared to just 22% for their neighbours, Yorkshire and the Humber. And yet only 1.8% of all care homes in the North West are Inadequate, and 3.1% in Yorkshire and the Humber. This suggests care quality is a much greater factor for closure in the North West, and conversely there are more commercial pressures causing homes to close in Yorkshire and the Humber. Across the country, smaller homes of up to 40 beds accounted for around 75% of all homes that closed and yet around 40% of them had a Good rating. It is a shame that so many care homes working hard to get Good CQC ratings are lost. Homes with 60 beds or more accounted for around 20% of all beds lost through closure. Around 90% of these homes were rated either Inadequate or Requires Improvement, and it is likely that poor care quality was a key factor behind the closures. Closures due to poor CQC ratings cause major issues for care providers and their livelihoods, their employees (how do we encourage people into a career in care if there is a chance of closures and job losses? ), and heartache for the residents and their families. At Gordons, we scan the health and social care system looking out for changes that will affect our clientsâ&#x20AC;&#x2122; businesses, thus assisting them in adapting to the future and enabling them to prosper and grow. Neil Grant, who leads the Health and Social Care Provider Team at Gordons, invites discussion with providers about the coming challenges, whether it be the Liberty Protection Safeguards or changes to CQC regulation. Please feel free to call Neil on 01483 451900 to have an informal discussion about changes that may affect your business over the next year and beyond. PATCHCARE – BRINGING THE RESIDENTIAL CARE MODEL TO THE COMMUNITY PatchCare draws on positive aspects of homecare and residential care that work and brings them together to create a person-centred method of caring for people in their homes. Kevin Lewis, Founder and Chief Executive of Caremark, wanted to create a service to help get social care out of the crisis being faced and to provide better support to the people affected by loneliness and isolation. There is a national shift to move away from time and task-based commissioning in the home care sector and PatchCare is aiming to offer an alternative solution. communicate with each other. Care workers also arrange outings and social events for their patch, so that the people using the service can leave their homes to meet with others. This might be a shopping trip or an outing to a local tearoom. Care workers are paid on a salaried basis, rather than by the hour, and always know when they are working, with set shift patterns. The clients also know who to expect at which points of the day, as the PatchCare system means that consistency of care workers remains. All travel time and waiting time is also included in the care worker’s salary. while the client isn’t receiving support. OVER TO THE EXPERTS... What are the implications of this model of care for the wider sector? How can it be replicated by others? What are the barriers? country are being deprived of even basic care, with criteria for funding set at moderate – or, more usually, at critical – levels, it seems unviable that the roll out of this at any real scale will be achievable in the current social care environment. Therefore, offering apparent job security and long-term assurances of focused, salaried frontline care team posts may be challenging. Given Caremark’s private pay model and experience, this would seem to naturally be targeted to a private pay market, though again the co-ordination of this and charging mechanisms may also be challenging here. The principles underpinning PatchCare are to be supported and the benefits for workers and recipients of care understandable, but to make this both a viable and reliable service in the current climate will be the challenge. retention which is also a big problem in homecare. The smaller geographical areas could also open up job opportunities for non-drivers who may be able to walk from house to house. Job advertising costs could be significantly reduced if providers are able to make better use of marketing in their local community and become less reliant on the costly online job boards. I can see the challenges that could be faced when it comes to charging people for cancellations and whether local authorities would pay in these circumstances. However, from a recruitment perspective I think this model is a great step forward and it's fantastic to see Caremark paving the way for innovative thinking in homecare. monitoring of homecare clients. Rural communities in the UK can often face challenges when trying to access affordable homecare provision and this could be a potential barrier to the rolling out of this model. The social aspect is a refreshing concept, helping to combat loneliness in older people within our communities. More than one million people over the age of 75 in the UK go for over a month without speaking to a friend, neighbour or family member. The ‘hub’ idea could help to address this, resulting in decreased loneliness in some communities. This model of care could revolutionise the way homecare is organised and managed, with the client receiving more personalised and rounded care and support. CAREER HISTORY My career in social care began in 2005, however I joined Accord in 2010 as a support worker based at Ipstones Avenue. In 2013, I was offered the opportunity for a promotion. I found the idea of a promotion daunting, but I was assured by my manager that I had the potential and, with full support and training opportunities, I was promoted to acting team leader in 2014. Initially, I found it challenging managing a team that I had been working alongside previously; the dynamics of our relationship had changed, but it quickly settled as I became more used to the role and earned the trust and respect of the team. Within seven months, the role was made permanent and in October 2017 I applied for the registered manager position. Throughout my career development and successes, I have been very well supported by the management team at Accord. I have been given access to courses which have enabled me to develop the skills I require to manage my role and enhance my learning. Oluwakemi Yusuf is the Registered Home Manager at Ipstones Avenue, owned by Accord Housing Association. Ipstones Avenue is a five-bed care home, which is purpose-built to support people with learning disabilities and autism. There are five male customers in the home, with the majority of our residents having come from institutional settings. All of our residents are non-verbal and do exhibit behaviour that can be challenging. This creates an additional level in supporting their needs, as we need to really get to know them to understand when something might be wrong. Triggers could be as little as playing the wrong type of music, so it is important to recognise and rectify such things quickly. We support every customer as an individual, and we regularly update their support plans so that there is consistency in the way we support them and to ensure all staff can understand each customerâ&#x20AC;&#x2122;s likes and dislikes. To ensure the care is as consistent as possible, it is also really important that we retain our staff, as it can be very hard on our residents when new faces come into their home to support them. Staff morale is vital here and we want staff to be as happy as the customers. CURRENT ROLE I never had the registered manager role in mind when I started at Ipstones Avenue; I hadnâ&#x20AC;&#x2122;t considered it as a possibility. However, when the opportunity came to step up, and I was offered reassurance and support, it made me really proud that the management team believed in me. Not only has this developed my skillset, it has also developed my self-confidence. As a result, I now take every opportunity to acquire knowledge and grab it with both hands. I never want to stop supporting our customers – I’ve always been dedicated to being on the floor, involved in the day-to-day, and my dedication is stronger than ever. It’s imperative that I have quality time with each individual customer as often as possible. This is very important considering their needs, as they rely on us to see the signs when they are feeling unwell. I have every confidence in my staff, they are extremely competent and always work to the best of their ability. Working on the floor alongside them not only allows me to watch them flourish, but it means that I can help them develop and we can identify and discuss where our customers require support from other agencies. It is really important that we can work in this supportive, open and transparent way. One thing I wasn’t expecting from the registered manager role was the demanding paperwork. I have to make sure it doesn’t take away from what’s important at the time. Obviously, having the correct paperwork in order is hugely important, but you could easily forget the care side of the job if you’re not vigilant about how you split your time. Time management and prioritising have become key skills for me when striking a balance. I do find that sometimes I struggle to switch off. My job is a part of me and when I leave the scheme, it’s like I leave that bit of me there. I try to create a balance between work and home life and make a conscious effort to not overthink, but even when taking a holiday, this is difficult. Fortunately, I can rely on my team, who I trust to keep things running smoothly when I am not there. Investing and trusting in them and their abilities is important. Having an open-door policy is also key to establishing good working relationships. The absolute best part of being a registered manager is looking at our customers and seeing their quality of life. We make sure they don’t go without, and that nothing ever gets missed. It’s fantastic to see them smiling, being their true selves and happily living their lives. When relatives visit and comment on how happy their loved ones are, this really makes me feel like I’m doing something right. A huge part of this is the team's commitment. They know that new faces are a trigger for our residents and we do everything we can to make sure new staff are integrated in a way that makes each customer comfortable. This environment also means that if ever a shift needs to be covered or swapped, staff are happy to adjust for the benefit of the customers. myself, and re-invested it back into my team and organisation. It’s a brilliant programme and I’ve had opportunities to meet people I wouldn’t normally have had the chance to meet. Ive learned that you can be whoever you want to be – you just have to be determined. My mentor has also been a huge support in guiding me and allowing me to continue to learn and develop in ways I had not thought possible. Working in a small service for people with such a high level of needs can be difficult, and it’s been amazing to learn from people who are supporting people with a totally different set of requirements. Networking and knowing I can contact people if I need help has been another huge benefit of the programme. FUTURE CAREER I know I still have a lot to learn as a registered manager, but I’d eventually like to work up to a Head of Service role. I have an idea of what I need to achieve to get there, and I know my organisation will be supportive and keep offering me the opportunity to develop myself. Being given the opportunities I have, I have learned to believe in my own skills and abilities, to be braver and acknowledge my strengths. * Minimum booking period is 1 year. Price excludes VAT. Win Health Medical Ltd delivers innovation, quality, choice, value and excellent service with long term support to care professionals and individual customers. TIME TO RENEW YOUR STAFF UNIFORMS? Meltemi offer a great choice of uniforms in a variety of styles, colours and in lightweight options ideal for those working in a care environment. “Think Local Act Personal (TLAP) has always believed that genuine transformation requires new relationships and new conversations.” remains very challenging to live the life they want to lead. Making it Real helps organisations overcome these challenges so that the people who are using services are empowered to lead the life that is important to them. There is no doubting the profound push for transformation across our health and social care system. Think Local Act Personal (TLAP) has always believed that genuine transformation requires new relationships and new conversations. Making it Real provides a framework to develop these and can lead to a more equal power-sharing arrangement, where people acknowledge the expertise of the ‘professionals’ and, similarly, people are recognised as experts in their own life. It can help dissolve the hard border that exists between what the system thinks is needed and what the person knows to be important to them. they are making. The approach is relevant for all adults who require support, as well as carers and the people who are supporting them, and works across all settings including communitybased support and care homes. Large organisations with multiple branches or homes can get involved individually or as a group. Whilst the context may differ, the common element is that support should be based on what matters most to people in their lives. CO-PRODUCTION IS KEY Making it Real has been the most co-produced document I have had the pleasure to be involved in. People with lived experience worked with organisations as equal partners in its development and content. Over 200 people from across the health, care and housing sector were involved in the new project. People with lived experience, including carers, continue to work with TLAP to support organisations to implement Making it Real. The framework is fundamentally about people, relationships and conversations, so genuine coproduction is key to success. they support feel that those statements ring true. They then work together to develop action plans to improve any areas that aren’t meeting expectations. Shropshire Council has been working with Making it Real for some years. It has set up three local advisory groups in different areas across the county. These are open to people with lived experience and carers, the workforce and volunteers, who want the opportunity to co-design service development. The advisory groups feed into and influence the council’s Making it Real Board, which is chaired by a carer who describes himself as a critical friend to the council. The Chair praises Shropshire Council for its enthusiasm for the Making it Real ideals and its willingness to listen to voices from outside the council. Get the right fit. On Florence you connect directly with nurses and carers that fit the specific needs of your care home. Get continuous care thatâ&#x20AC;&#x2122;s tailored to you. See the difference. Turn your vision into a working reality. A home should appeal to visitors from the moment they step inside, but we know that planning and carrying out a refurbishment can be challenging. At Blueleaf, our award-winning interiors team understands how to bring your vision to life, from concept to completion. We combine a passion for design with a deep understanding of care and business needs, and our project managers remain on hand until final sign off. Working with you, we’ll make sure your refurbishment will better support residents, staff and management aims. You’ll see the difference, and so will visitors and residents. To get started, call 03300 55 22 88 to book a free design consultation, or visit blueleafcare.com to find out more. SECTORS •	Nursing homes. •	Residential homes. •	Residential dementia homes. •	Learning disability homes. •	Extra care. •	Domiciliary care. •	Supported living. SERVICES •	Cloud bookkeeping and training packages. •	EBITDAR and business advisory (including benchmarking). •	Tax compliance and advisory. •	Sales and acquisition tax advisory. •	Due diligence for sales and acquisitions. •	Share valuations. •	Succession planning. •	Forecasting. •	Payroll. is a well-respected researcher in the sector, contributing to sectorwritten articles. Neil Hutchings is Albert Goodman’s corporate finance specialist, having joined the firm in 2008. Over the past 12 years, he has developed extensive corporate finance, audit, accountancy and business advisory skills, over a wide range of companies and organisations. Neil has vast experience in the buying and selling of care homes and care home groups and is wellconnected within the corporate finance sector. COMPANY INFORMATION Albert Goodman LLP, established for over 150 years, has developed a dedicated team to support providers in the care sector to navigate through business challenges, with wider contacts in the sector adding value to the advisory given. In addition to the accountancy and tax compliance, business advice is given throughout the year through management accounts production, KPI reporting and variance analysis from budget to actual, monitoring occupancy and cash flow, providing timely reporting for inhouse management and to meet bank covenant requirements. Care sector accountancy firms Accountants can support you with myriad services, from tax and financing, to due diligence and business planning. The firms listed here can support you to operate and expand your service. *Early bird discount available until 19th April 2019. Discounts cannot be used in conjunction with each other. SECTORS •	Nursing and residential care homes. •	Learning disability. •	Supported assisted living. •	Challenging behaviour and special needs. •	Rehabilitation. •	Domiciliary care agencies. SERVICES •	Accounting and tax. •	Business planning. •	Refinancing, business acquisition and sales. •	Payroll. •	Wealth management. COMPANY INFORMATION Bishop Fleming is a dynamic UK accountancy firm, providing a comprehensive range of services across a wide range of sectors. We’re currently ranked the 29th largest firm in the UK by turnover and have been one of the fastest growing firms over the last decade. Bishop Fleming has seven offices, 30 partners and over 350 staff. We pride ourselves on being relationship-led and place our client and people relationships at the heart of our business. That’s why we have been awarded the Gold Standard in our recent Investor in Customers survey, which demonstrates our commitment to delivering exceptional client service. SECTORS •	Residential and nursing homes for the elderly. •	Learning disability/challenging behaviour. •	Specialist needs education colleges. •	Assisted living/close care/extra care. •	Drug, alcohol and eating disorders independent hospitals. •	Domiciliary care. •	Supported living. •	Children’s services. •	Secure units. •	Foster care agencies. •	Primary healthcare. SERVICES •	Accounts, audit and tax. •	Accounts preparation. •	Business planning and advice. •	Corporate finance. •	Tax advisory services. •	Benchmarking. •	Sales and acquisitions. •	Preparing the business for sale. •	Exit planning. •	Valuations. •	Assisting in negotiations. •	Minimising the effects of income tax, capital taxes, VAT and Stamp Duty Land Tax. •	Due diligence. •	Raising finance. •	Estate planning. COMPANY INFORMATION Hazlewoods’ Health and Care team have been specialists in the sector for over 25 years, acting for over 200 different health and social care providers. For the 17th consecutive year, we are ranked the number one corporate finance adviser in sub-£50m health and care transactions. * Our specialist team offers a full range of services to enable us to deliver wealth creation to health and care business owners. We advise many clients on their strategy from early stage to disposal. 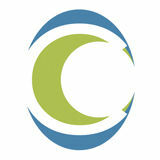 Services include accountancy, audit, tax planning and mitigation, business strategy, acquisition and disposal advisory. Due to the high level of activity in 2018, we successfully advised on 173 completed transactions valued at £724m. 2019 has begun where 2018 left off, although headwinds such as Brexit and staff cost increases do continue to challenge buyers and sellers alike. We act for a wide range of care providers, including individual care home owners, corporate groups, not-for-profit organisations and private equity houses. John Lucas Partner Email: john.lucas@hazlewoods.co.uk *Source: http://www.experian.co.uk/marketiq– Number of healthcare transactions in the UK from January 2002 to December 2018. SECTORS •	Care homes. •	Nursing homes. •	Domiciliary care agencies. •	Charities. •	Property development. SERVICES  •	Acquisitions. •	Disposals. •	Accounts. •	Auditing. •	Business plans, support and advice. •	Company secretarial. •	Corporate finance. •	Payroll services. •	Tax advice and services. •	Management accounting. LEAD INDIVIDUALS Roger Morris heads up the Morris Lane team of specialists working with their healthcare focused clients. Roger is an award-winning member of the Chartered Institute of Taxation and has over 30 years’ experience in the sector. Roger is ably supported by lead accountants specialising in the sector, Michelle Cordy, Dan Baker, Jon Hoyle, Michelle Pettifer and Sam Turner. The team provides a proactive service to enable clients to achieve their ambitions, to maximise their profitability, and to increase and protect their wealth. COMPANY INFORMATION The firm has clients located throughout England and Wales and is believed to advise more care home operators than any other accountants in the UK. Its strength lies in listening to clients about their business and personal goals and providing timely advice through the business cycle on how to achieve these, so they can fund their preferred lifestyle and ultimate exit from the business. This includes preparation of budgets and forecasts, regular and timely advice on any changes in tax and accounting law, as well as keeping them up-to-date on financial matters relating to the sector. The firm ensures clients are compliant in terms of producing their annual accounts and tax returns, as well as providing management accounts if required by lenders in accordance with specific loan covenants. It prides itself on providing bespoke advice including the structuring of acquisitions and disposals in order to maximise value and minimise the effects of income tax, corporation tax, capital taxes, VAT and Stamp Duty Land Tax. Morris Lane also works closely with other professional advisers in the sector, including finance and capital allowance specialists together with their clients’ legal teams. SECTORS •	Residential care homes. •	Nursing homes. •	Dental. •	Healthcare professional practices. •	Charities. SERVICES •	Acquisitions and disposals of care homes and groups. •	Business valuations. •	Financial due diligence. •	Cash planning, management and forecasting support. •	Reporting services and resolving financial questions/challenges. •	Pension scheme deficit advice. •	Support with preparing for closure, disposal of assets and dealing with surplus funds. •	Accounts preparation and audit. •	Business outsourcing. •	Business and employment taxes. •	Employee benefits consulting. LEAD INDIVIDUAL Greg is a Chartered Accountant with 30 years’ experience advising clients and is National Head of the Restructuring and Recovery Services team. Greg has extensive experience in the care sector through both his restructuring advice to care homes and businesses, as well aas his expertise when covering insolvency matters. independently owned financial and professional services group that has been looking after the affairs of businesses and their owners for over 100 years. One of the top 10 accountancy firms in the UK, Smith & Williamson LLP has over 1,700 staff and partners across 12 offices in the UK, Ireland and Jersey. Through its wider network, it can draw on skills and resources from around the world through the Nexia International network. Businesses in the care sector have come under intense financial pressure recently, such as the reduction in public funding, the effect of the minimum wage and staff shortages as well as increasing regulatory and compliance requirements. Where these factors are putting pressures on margins and cash, we offer support and advice tailored to the needs of the operator. This advice is designed to help management make informed decisions about the best route forward, including cash flow, funding and working capital support and reorganisation of the business. External expertise can help at crucial stages of a business lifecycle. Our experts are ideally placed to assist in discussions with key internal and external stakeholders. As well as restructuring advice, Smith & Williamson LLP provides regular accounting and audit services to care sector clients. Through our corporate finance team, we are able to offer support for major transactions. THE CARE WORKERS CHARITY Almost 1.5 million care workers are currently caring for some of the most vulnerable people in our society. They spend their days helping others, but when circumstances change, some�mes it is the carers who need some help. The Southern Care Show® The biggest adult social care show in the South! Plus over 90 Exhibition Stands! years, including winning several national and regional awards for its high levels of care. Last year, the Society celebrated awards for Housekeeping Manager, Shirley Campbell, who won the Leadership Award, and Chairman, Captain Glass, who was awarded the Beyond Governance Award, for their contributions to the Society, home, its staff and residents. my career, when I started out as a care assistant. I couldn’t think of a better place to work, nor a better home for the residents who I enjoy supporting each day.’ Shirley possesses an array of different skills and all residents know her door is always open. She is known around the home as ‘the fixer’ and is able to fulfil the request of all residents no matter how small or large the task, from fixing glasses and personal items to arranging furniture for residents’ rooms and helping to sew and mend clothes. CMM Insight is expanding, with a brand-new event in Leeds. The Leeds Care Conference will take place on 20th June at Oulton Hall and is a continuation of the Insight series, bringing the quality of a national conference to a local stage. Delegates can expect a packed agenda, produced in conjunction with Leeds Care Association to ensure the event covers the topics most crucial to the providers in the area. Neil Eastwood from Sticky People, whose presentation will teach providers how to find staff with the right values, as he reveals the latest innovation and thinking in this complex area of the sector. Delegates will have the opportunity throughout the day to explore the useful exhibition, with sector-specific organisations to help you in running your business. you with the skills to implement technology in your business even if you donâ&#x20AC;&#x2122;t have digital expertise. The workshops are repeated to allow delegates to attend the two sessions of their choice. BOOK TODAY Delegates attending the CMM Insight Leeds Care Conference will be sure to come away from the day with a host of ideas and information, which they can take back to their organisations and use to support their business goals. The conference is also CPD certified, so delegates will be able to collect CPD points before they leave at the end of the day. Book your tickets on the CMM website, www.caremanagementmatters.co.uk. Sponsorship and exhibition opportunities are also available. CMM *Topics and speakers are subject to change. The Big Picture. How fair are CQC ratings?